Posted on November 7, 2012 by livesimply.loveextravagantly. The dictionary says that the definition of family is “a group consisting of parents and children living together in a household.” In my heart, the definition of family is far from that of which resides between the front and back cover of the American Oxford Dictionary. So many words come to mind when I consider family and its meaning: unconditional love, safe place, growth, tenderness, discipline, discipleship, laughter, sacrifice, trust, respect, genuineness, transparency, attachment, adventure, service, understanding…the list goes on for so long. 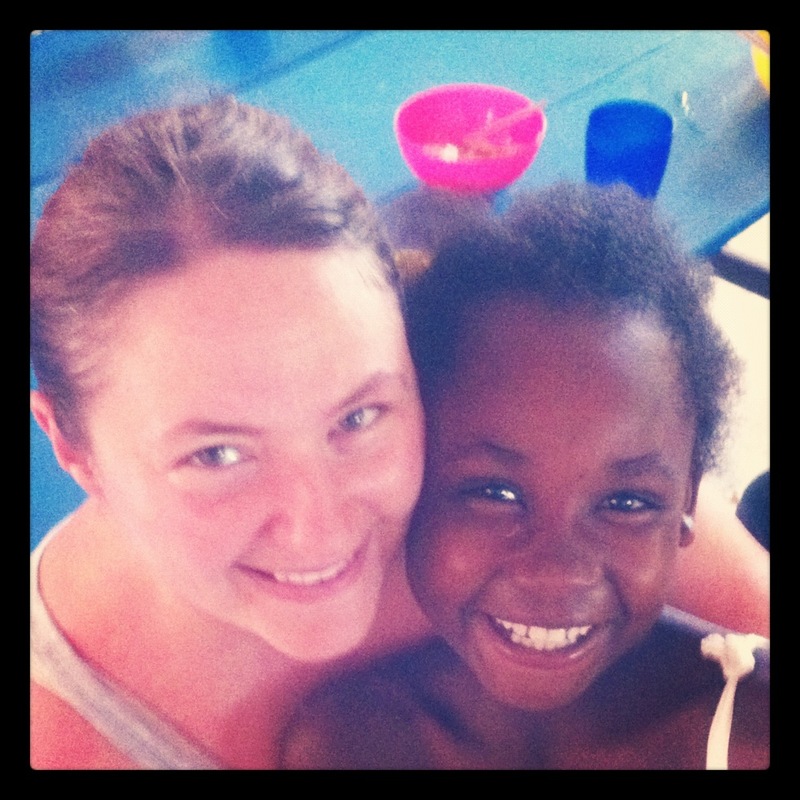 Living in Neply, Haiti has stretched the meaning of family for me and my family. Family goes beyond four physical walls and invades your heart, imprinting the very soul of your being. Without warning. The true meaning of family permeates you. 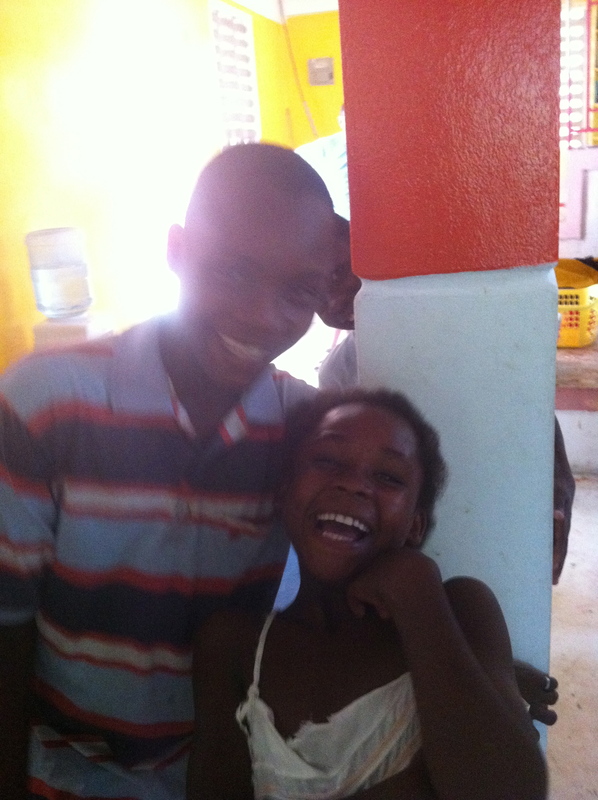 I would like to share a story about two young people in Neply. Josseline is our neighbor. She lives in a home two houses down from our family. She is ten years old. She is radiantly beautiful. She is full of joy. She enjoys laughter. She loves sugarcane. She plays with her friends, including our children. She even goes to school. 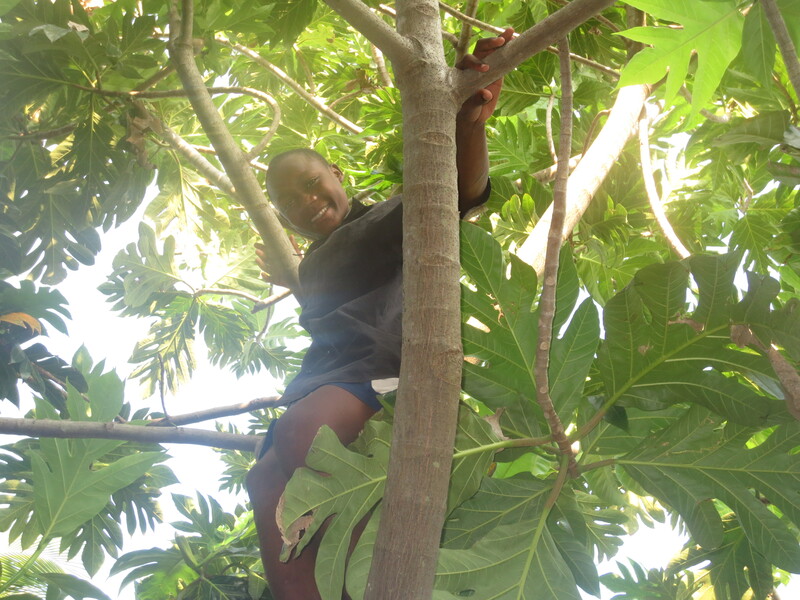 In so many ways, Josseline is a typical, ten year old girl living in a small village in Haiti. Noha (pronounced Noo-ye) is a young man that lives just around the corner from our house. He is a broad shouldered, fourteen year old boy with a story written in the depths of his eyes. He loves to play soccer. He, too, loves to laugh. He is respectful. His smile is inviting. He carries wisdom far beyond his fourteen years. His boyhood is swiftly turning to manhood. Noha is Josseline’s older brother. They do not live in the same household nor do they live with their parents. They are restaveks. A restavek is a child sold into slavery in order for the remaining family members to get money for food and survival. These two beautiful children are slaves. Slaves. 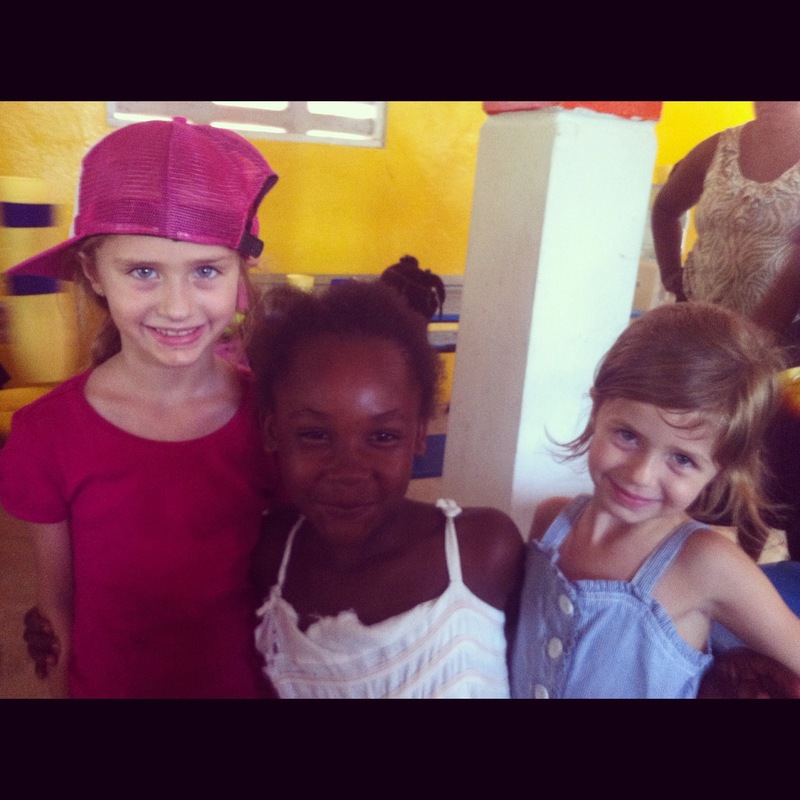 They each work for a place to stay, food to eat, time to play, and the opportunity to attend school. Some days, as I walk past Josseline’s house, she nods her head, to say “No, please don’t talk to me. Keep walking.” It is these times, I know she is working and she is being watched. She will receive punishment if I talk to her. My heart breaks. Other times, she runs to our house to play and have fun. It is those times that I treasure. In so many ways, Josseline and Noha have nothing that resembles family and no one that is family any where close by. I want so badly for Josseline and Noha to experience family in a new, safe sense. Jesus said that He is going to heaven to prepare many rooms for us. Our Heavenly Father is preparing a household for us. But here on earth, where times are hard and the light of family grows dim, we are here to impact families with the love of Christ. We are here to create a sense of family based on trust. We are here to accept people where they are and grow with them. We are here to display Christ’s love in a way that draws people nearer to Him…into His family. We are here to love, encourage, serve, disciple, laugh, respect, and understand. We are here to be a safe place, a place of tenderness and trust, a place of discipline and understanding, and a place of growth and attachment. We are here to display Christ’s definition of family. I get it. I understand the necessity of family. I believe in so many ways, though, I take for granted how powerful family really is. I haven’t had to long for a family the way that Josseline and Noha do. I haven’t had to wonder if the love my family gives me is contingent upon the works that I perform. Romans 8:38-39 says, “For I am convinced that neither death nor life, neither angels nor demons, neither the present nor the future, nor any powers, neither height nor depth, nor anything else in all creation, will be able to separate us from the love of God that is in Christ Jesus our Lord.” I find comfort and freedom in this verse. I can’t do anything to lose my love from my Heavenly Father. He is my Father, my family, for eternity. Please pray for the restaveks around the world. Pray for Josseline and Noha by name. And pray for their “owners”…that a true conviction for family will come over them, and they too can experience the freedom of knowing Christ and experiencing family here on earth…and for eternity.